Smoothies are the perfect food when you’re craving something sweet but want to eat something real. 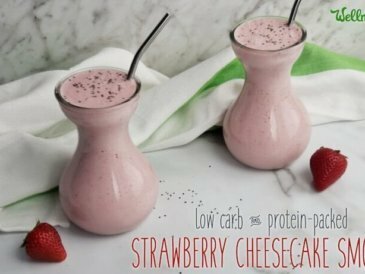 I always add lots of healthy fats and protein to my smoothies for a healthy snack or meal. This creamy berry smoothie is perfect for kids who want something sweet and satisfying. In fact, my kids invented this one! The smoothie as we know it has been around (in the U.S.) since the natural food movement of the 1960s and ’70s. At that time, smoothies were most often made from fruit, ice, and juice. But this kind of beverage dates back much further in other cultures. For example, people in Latin America and India have been making fruit smoothies for much longer. But smoothies made from only fruit and juice are not actually that healthy. Both are high in (natural) sugars and can send blood sugar out of whack. Today, there are many variations of smoothies that contain healthy fats and proteins, making smoothies a true health food (if made right). Protein – also important for balancing blood sugar and keeping you full. 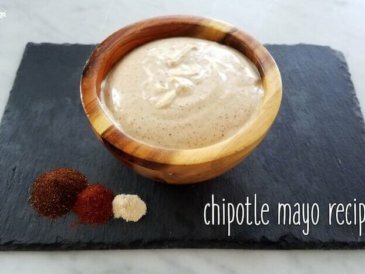 Ideas include nuts or nut butter, collagen (not gelatin which will make the smoothie gel), and seeds. 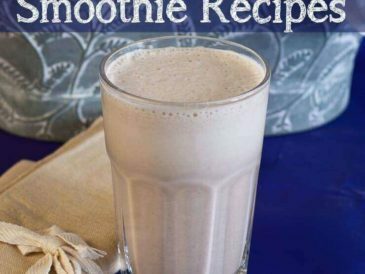 Fat – helps balance blood sugar, keeps you full, and makes the smoothie creamy. Some ideas include avocados, coconut oil, butter, and nut butter. Non-juice liquid – I’m not a fan of juice since it’s all the sugar of fruit without the fiber (and is often pasteurized so there is little nutrition left). I prefer milk or non-dairy milk instead. It also helps make the smoothie creamy. Water is another choice that works fine when you include fatty ingredients. Greens – My smoothies tend to be more veggies than fruit. Add a handful of spinach or a scoop of greens powder to really up the nutritional content. 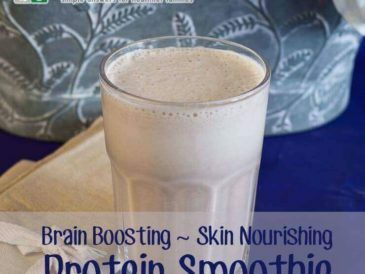 My Brain-Boosting Smoothie is a good example of this kind of smoothie. 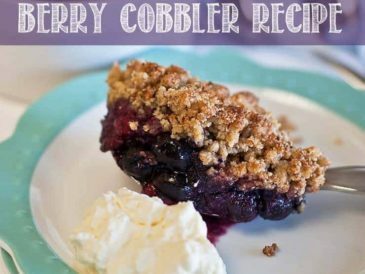 It’s low in sugar and packs a lot of healthy fats and protein. Pumpkin Pie Spice Smoothie – This recipe is an autumn favorite that satisfies the pumpkin spice craving. Cucumber Lime Green Smoothie – Veggie packed and delicious, this smoothie is perfect for getting more vegetables into the diet. 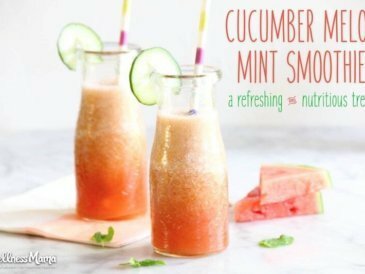 Cucumber Melon Mint Smoothie – A combination of all the best of summer, this recipe is easy to make and refreshing. Avocado Mint Smoothie – Doesn’t this sound good? Shamrock shakes don’t have to be reserved just for St. Patrick’s Day when made with real food! 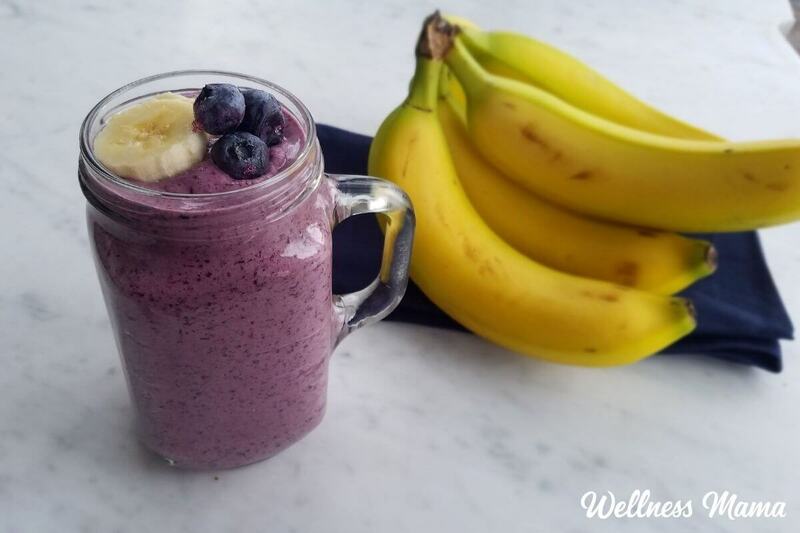 This smoothie made with bananas, blueberries, almond milk, and a little cashew butter for protein is a super fast and healthy snack. Combine all ingredients in a blender and blend until smooth, adding additional almond milk if necessary. Feel free to sub out the milk and cashew butter for your favorite nut milk and butter. What your favorite smoothie to drink? 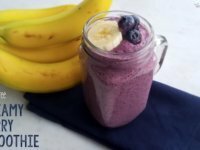 Will you try this berry smoothie?